The British Virgin Islands which is 150-square-kilometres consist of many islands some of them are Virgin Gorda, Tortola, Jost Van Dyke and Anegada along with over fifty other minor islands and cays. Out of 50 islands, 15 of the islands are inhabited. Over 45% of the income to the government comes from tourism in British Virgin Islands. There are many beaches all around the islands which make British Virgin Islands best holiday destination. It offer diverse and memorable experiences like diving, sailing, island hopping, water sports, shopping, trekking, water activities, explore the art & culture of the islands, various dining options, and many events throughout the year and offers much more. Peter Island Resort is considered as one of the best accommodation providers in the Virgin Islands. This resort comes under the luxury category and the best part is, you can stay on your own private island at the southern end. The resorts are extraordinary and have an exclusive and extensive spa, many dining options offering various cuisines. This resort has five private beaches and legions of coconuts and wild sea grapes. If money is not a matter, any type of service is available in these exciting and wonderfully designed villas. 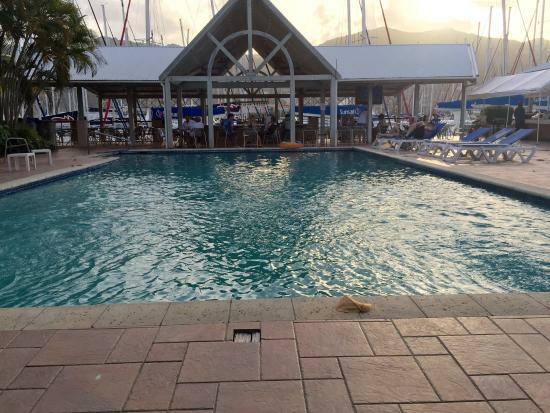 Bitter End Yacht Club offers a lot of water sports and is a relaxed and a family resorts located in the north hills of the Virgin Gorda, Virgin Islands. The special feature of this resort is, it’s a tech-free resort i.e. no television and Wi-Fi in the rooms around the resort. The white sand beaches are the attraction which has an option for a lot of water games and the waters are relatively calm and serene. This resort has a lot of options of food and has multiple restaurants. Every holiday season the third largest Caribbean Mega-yacht party is organized in these waters which attract a lot of tourists. This resort offers outdoor movie theatre, small kids club for kids, scuba diving, yachting and many water sports. Sugar Mill Hotel is a romantic boutique hotel which is a historic property located in Tortola, Virgin Islands. This hotel makes you feel the history come true before our eyes through its stone pathways, original sugar equipment as the hotel is located in a 400-year-old sugar plantation. This hotel is the best gateway for honeymooners. Multiple restaurants are available inside the resort and also nearby to the resort. Moorings Mariner Inn Hotel is a mid range hotel which has 40 rooms. 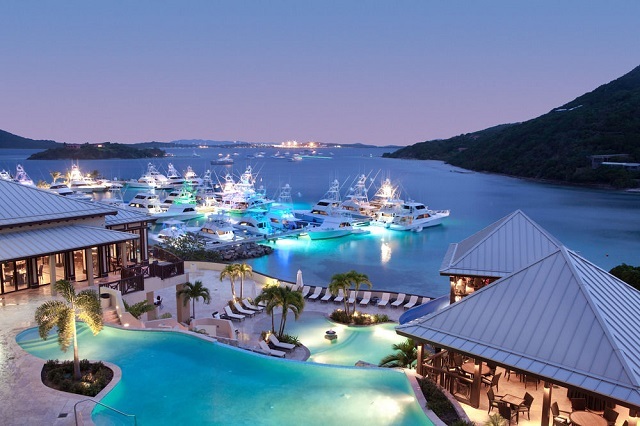 This is a pit stop for travelers chartering yachts around Virgin Islands. This hotel is located in Road Town, in front of the harbor. Three varieties of rooms are available which has different interiors. This is a hotel where one can stay one or two nights and not meant for long vacationers. In short, we can say that Moorings is a pre and post-charter hotel for travelers. Biras Creek Resort is a 140-acre extravagant secluded resort is located in Virgin Gorda, Virgin Islands have lush green grounds with serene ocean views. There are two white sand beaches which offer many varieties of water sports. The beach on the north side has calm waters with low waves and the other beach is rocky with heavy waves. This resort is located on a spectacular luxury property private island which attracts yachters and expensive clients in Tortola, Virgin Islands. The resort has crescent-shaped pavilion beach has calm waters which are turquoise in color and is a secluded beach. Free transfers are provided to and from Beef Island. 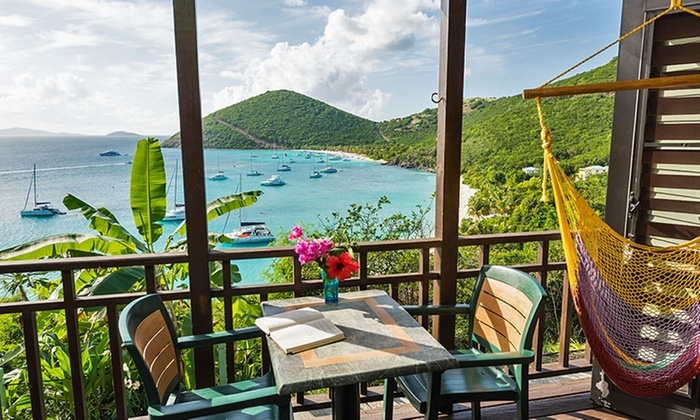 Rosewood Little Dix Bay is located in Virgin Garoda, Virgin Islands is a newly renovated property with new interiors. The soft curving crescent beach has gentle blue waters and a truly authentic destination. It provides ultimate privacy. Icis Villas is a quiet and secluded property located in Tortola, Virgin Islands. It is in a distance of five minutes to Brewers Bay. It is a mid range hotel and can be affordable by many tourists. The resort doesn’t have a full fledged restaurant but offers a continental breakfast. Surfsong Villa Resort is located on the beach and is a preferred beach is a hidden gem in Tortola, Virgin Islands. The best feature is menus are customized as per guest requirements. If you are looking to be alone with your partner, plan your vacation here. The resort is surrounded by ocean on two sides. The Caribbean Sea can be seen from the southern side of the beach. The western side of the resort has waters of well-bay where one can enjoy these bath like waters. Frenchmans is a pristine and private beach with a calm swimming lagoon in Tortola, Virgin Islands. This accommodation has stunning views of Caribbean Sea. This is one of the famous and well-liked hotels in the area. The surroundings of the resort have very little to do and is well equipped with all the amenities. White Bay Villas & Seaside Cottages is located in Jost Van Dyke, Virgin Islands. It is the most romantic and family-friendly resorts in the area. The only drawback is the approach road because of the hilly path and a have to walk down the steep. The environment is quiet relaxed but far away from the communal amenities. 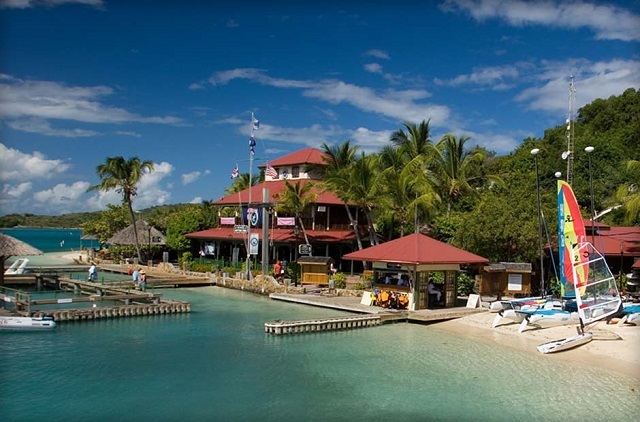 Long Bay beach club is also located on stunning long bay beach Tortola, Virgin Islands. All the rooms are beach front and cottages are just a few steps away from water. It is very nearby to all local markets and restaurants. Has two restaurants and a stunning beach.